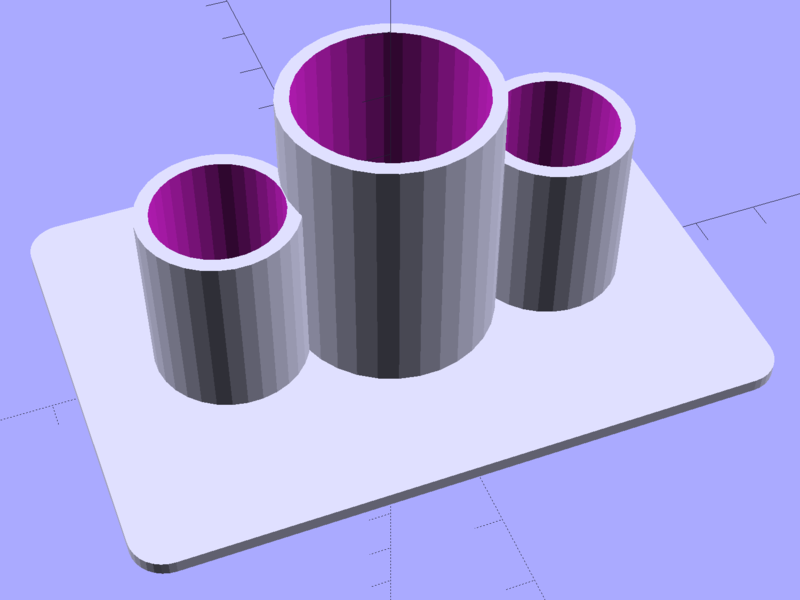 The tubes are 1.5 diameters tall, minus a skosh, so the cylinders stand neatly inside and don’t want to fall over. I added about 1 mm clearance and you could taper the cylinder openings for E-Z insertion, although we can eke out a miserable existence with this thing as-is. 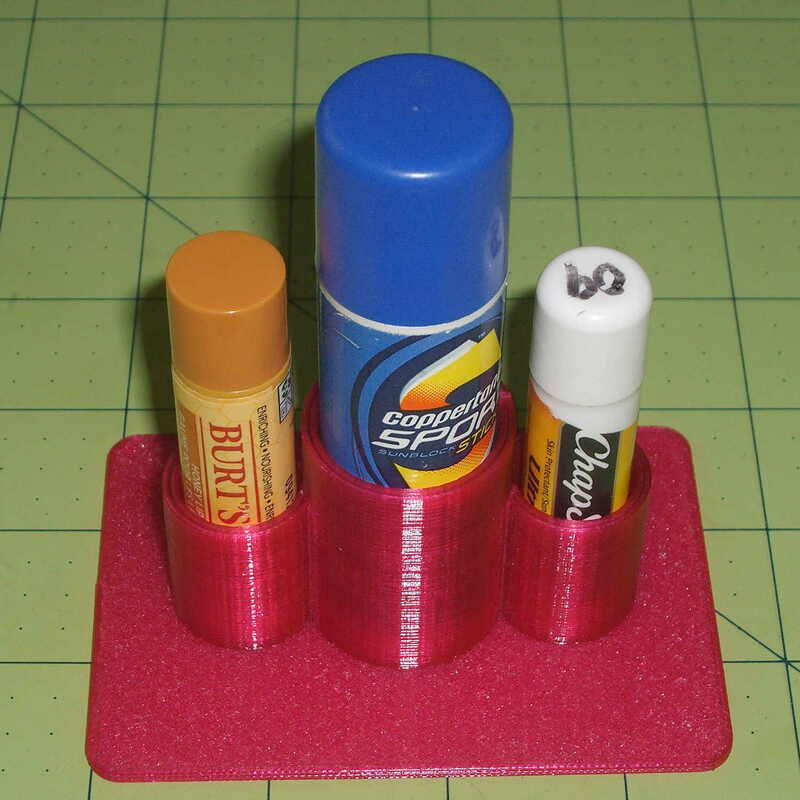 That big stick in the middle is actually skin sunscreen, not lip balm; let’s not get all pedantic. The intent is to keep those cylinders from rolling off the shelf and falling into awkward locations, which this will do.